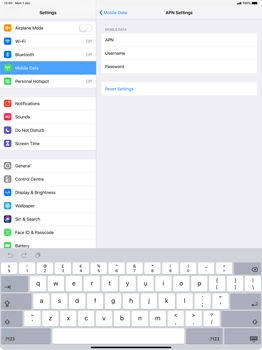 Tango enables automatic configuration of mobile internet and other services on your Apple iPad Pro 12.9 (2018). 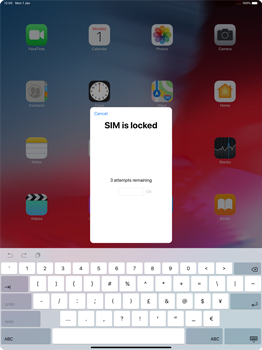 It is also possible to manually set up mobile internet on your Apple iPad Pro 12.9 (2018). Choose Next for step-by-step instructions. Scroll down the left menu. To finish the process and activate the settings, you need to restart the device. 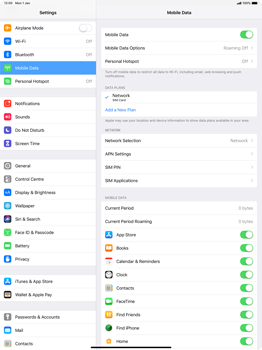 Your Apple iPad Pro 12.9 (2018) will then be configured to use mobile internet. 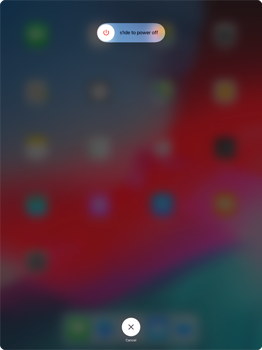 To turn off the Apple iPad Pro 12.9 (2018), press and hold the power button and the volume up button on the side of the Apple iPad Pro 12.9 (2018). 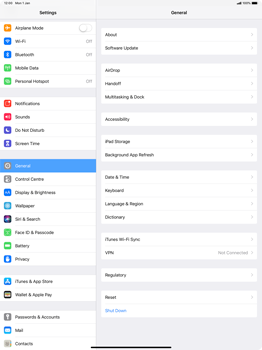 The Apple iPad Pro 12.9 (2018) has been turned off. 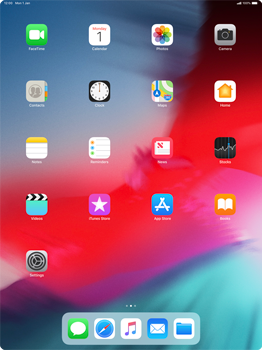 To turn on the Apple iPad Pro 12.9 (2018), press and hold the power button on the top of the Apple iPad Pro 12.9 (2018). 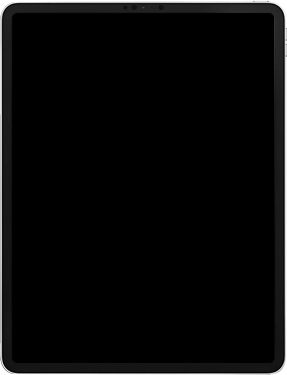 If this screen appears, swipe up from the bottom edge of the screen. 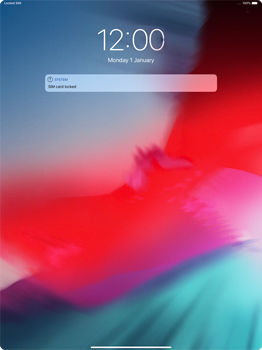 The Apple iPad Pro 12.9 (2018) is now ready for use. 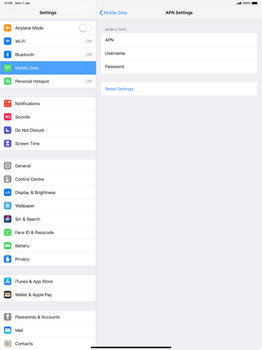 Switch off the Apple iPad Pro 12.9 (2018) and restart it in order to activate the settings. You can now start using the internet.